One of Malaysia’s delights and source of fame is its colourful, mouth-watering street food. 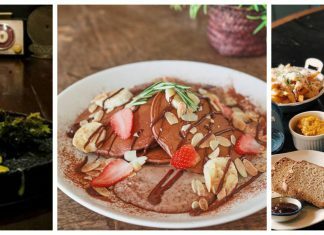 So, it was a huge surprise for Malaysian netizens to find that Malaysia was not among the SEA countries featured in Netflix’s new culinary series titled “Street Food Asia” which will be launched on April 26. The two-minute trailer looked good as it showcased an assortment of street food and their respective owners from different Southeast Asian countries such as Thailand, Vietnam, India, Taiwan, South Korea, Indonesia, Japan, the Philippines, and yes – Singapore but there was no mention of Malaysia at all! 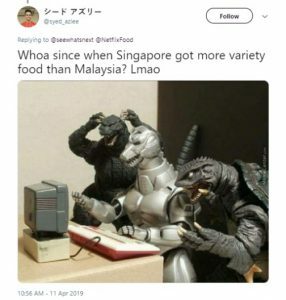 In an instant, local foodies immediately took to Twitter to convey their disapproval and unhappiness over Netflix’s decision to dismiss Malaysian gastronomy completely, with some being extremely bitter about Singapore being chosen instead. The Street Food series which is created by the producers of Netflix’s other smash-hit food show, Chef’s Table, will “document the blood, sweat and tears” that go into iconic street foods, and pick street hawkers from nine of “the world’s most colorful cities” – Singapore, Indonesia, Thailand, Vietnam, the Philippines, India, Japan, Korea and Taiwan – to be featured in the show’s first season. 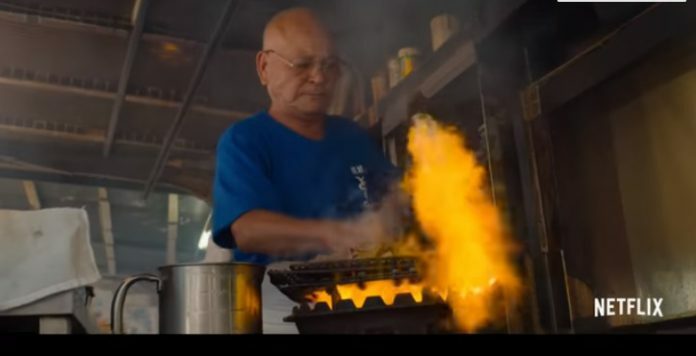 According to Netflix, Singaporean dishes that will find their way into the show include wonton noodles made by the late Tang Siu Nam, chilli crab by KEK Seafood, and chicken rice from Sin Kee Chicken Rice. Also featured is putu piring, a steamed rice cake filled with palm sugar, made by professional pastry chef Aisha Hashim, whose family owns Michelin Guide-approved Haig Road Putu Piring. Singapore’s hawker cuisine shares many similarities with Malaysia, prompting Malaysians – many who think their hawker heritage is older and richer – to feel bad about the country’s exclusion from the lineup. One persistent protest among social media users was over the fact that Singapore was chosen to be featured instead, a reflection of the never-ending tension between Malaysia and Singapore, whether about food or not.